Dolphins have always held a special relationship with humans. The energy of Dolphins is a sublime source of divine joy, healing, acceptance, and love. Dolphins hold magical energy in human culture now and in the past. Dolphins are credited in ancient Minoan and Greek mythology for saving humans and gods at sea, bringing lovers together and assisting humans. 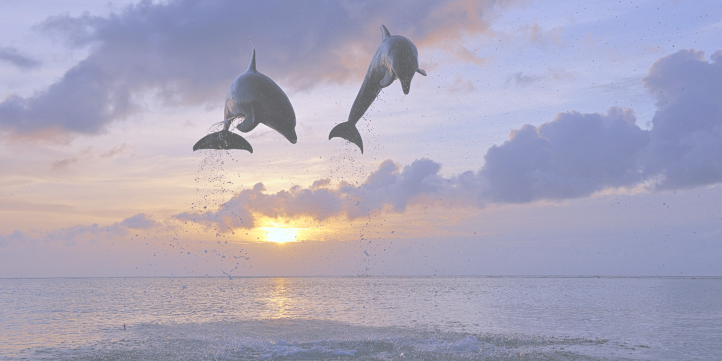 In this series of audio-energetic downloads, Sherry captures and transmits the energy of Dolphins to synergize and co-create your complete life. Dolphin spiritual energy brings about joy, physical comfort, and can quicken a shift, deliver love, and lift depressed thoughts and stagnation. They also activate the inner divine child’s creativity. From her first meeting with them at the age of seven, Sherry connected to the infinite joy they want to give people, in or out of the water. Sherry has personally experienced miracles of Dolphin spirit energy. She will share this with you and how you can also experience these miracles. Poseidon was said to place Dolphins in the constellation. Sherry uses the essential energy of Dolphins in spirit form and has a solid relationship with them in the sea.